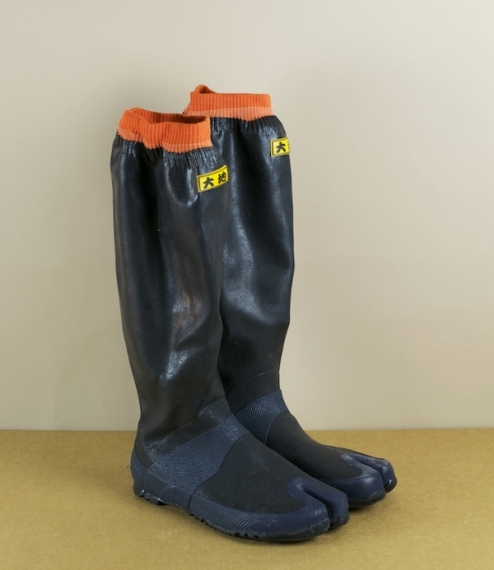 A kind of split toed wellington called nagagutsu daichi, that is 'earth boots' in Japan. 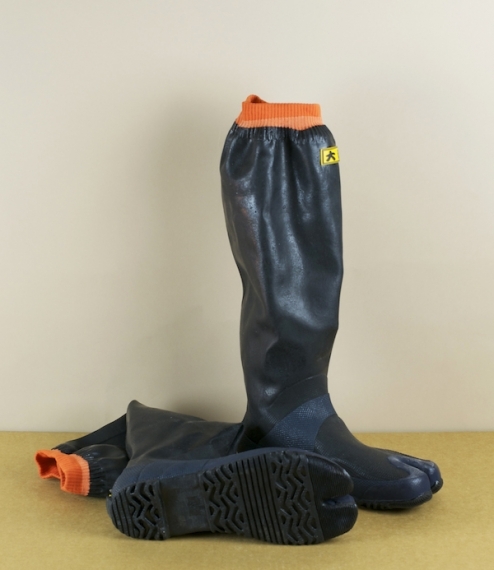 These are jika-tabi made of vulcanized natural rubber with a nylon reinforcement. For nearly 100 years the split toed boot has been a favorite of Japanese soldiers, workmen, and agriculturalists, due to the balance, sure footedness, and agility they endow the wearer; and I'll confess a personal favourite since childhood when I learned from Commando comics of the exotic split-toed Japanese military boots. With a reinforced band over the ankle for grip, and a tab on the heel for easier removal. 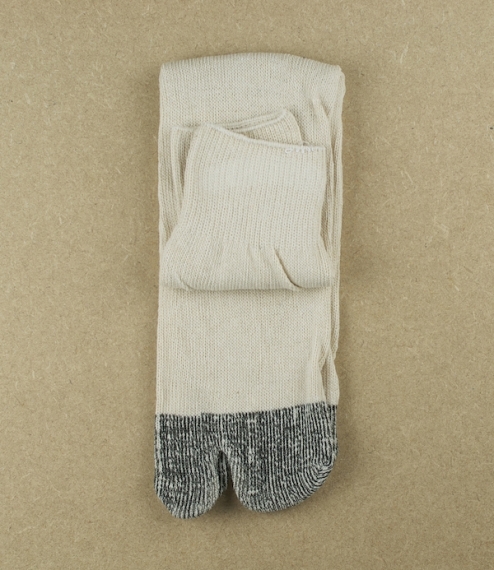 These fold up incredibly small, making them ideal for travelling, and whilst thin and flexible are surprisingly tough. In 4 sizes, M which roughly equates to 38-39, L to 40, LL 41-42, and LLL 43-44. Worn tight, with gunsoku soldiers socks.